As of last month, and in compliance with Council of Europe membership requirements, homosexuality is no longer to be considered a crime in Armenia. Clause 116 of the Armenian criminal code making it illegal to be homosexual in Armenia was abolished, and with it the threat of five years imprisonment for anyone who is gay. Still, gays in Armenia are convinced that a change in law will not guarantee a change in public opinion and the current contemptuous attitude towards them will survive legal changes. Widely considered to be immoral and disgraceful, homosexuals in Armenia find little sympathy from society or the justice system in defense of their now-guaranteed human rights. Alexander, who is gay, says neither his friends nor his family know of his sexual orientation. "Most of my friends who are homosexual left Armenia because here they can not protect their rights," Alexander says. "I do not think I have a future here. "Homosexuals are target of blackmail for the police in Armenia. All the homosexuals who are on a list of police pay them money regularly." Mikael Danielyan, Chairman of the Helsinki Association, says homosexuals often apply to him for support. "In most cases they complain about the police, but in their turn the police in most cases do not like to deal with human rights defendants." Danielyan says problems for homosexuals is especially prevalent during military service. He recalls two cases reported to him by 20-year old Mamikon Hovsepyan and 18-year old Misak Kocharyan. After they were recruited for military service, officers told their families and work associates that the men were gay. "When military recruiting officers learn that a man is homosexual usually they send him to a clinic for psychiatric examination," Danielyan says. "The only progress is that at least now they put a diagnosis of 'sexual perversion'. Before, they interpreted homosexuality as 'split personality'. In any case the gay is released from military service and instead is registered in a mental clinic." Danielyan says usually commanders do not wish to have homosexuals in the army, as their presence causes problems among ranks who are intolerant toward them. Once identified as gay, a soldier faces intense humiliation and is ostracized. In distant units it is not unusual for gay soldiers to be beaten or raped. As for Alexander, he applied to Danielyan not because he had problems with police or in the army, but because he realized that gays themselves should learn how to protect their rights. Before he came to the Helsinki Association he applied to several organizations on human rights, but so far no one helped. "Some defendants do not want to deal with our cases and others do not because of some principles," Alexander says. Alexander says that Danielyan suggested forming a support group, but most gays say they did not want such a group because of publicity it might bring. 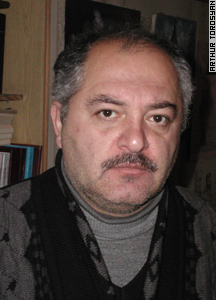 "Our society is either illiterate and believes that homosexuality is a disease which should be treated, or simply people do not wish to accept something which is different from their traditional understanding of morality and family," says Danielyan, who has written several articles for local and international media about rights of homosexuals. The human rights advocate believes that the negative attitude toward homosexuals in Armenia is partly inherited from Soviet times. Communist leaders believed that homosexuality is a product of a capitalistic society's degradation. 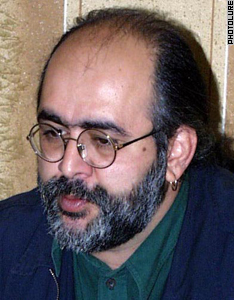 Harutyun Minasyan, a psychologist at Polyclinic No. 11, says that at least 10 homosexuals a year apply to him for counseling. "When they come they first of all take my promise that I would not tell anyone about them," he says. Minasyan says that what they need in most cases is to share their problems, to have someone who listens to them. Almost all who apply to Minasyan suffer from insomnia and depression. Even if they have a partner and are happy with them, the social life frightens them. Young people are especially vulnerable, the psychologist says, adding that sometimes their parents have taken them to doctors. Minasyan saw one case in which parents brought their son to see him after the boy's brothers beat him, upon learning that the brother was gay.